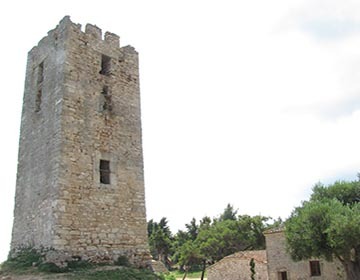 A significant mark of the village, this particular Tower, which is unique in the whole of Chalkidiki, is preserved until these days. Its dimensions are 7x7 meter long and 17 meter high. It was built in 1407 and it was used as a farmland of Saint Paul’s Monastery, with authorization of Mount Athos. Front all the buildings in the farmland the only ones that still exist are two parts of two different ground floor wings from the 19th Century and the Temple of the 12 Evangelists. 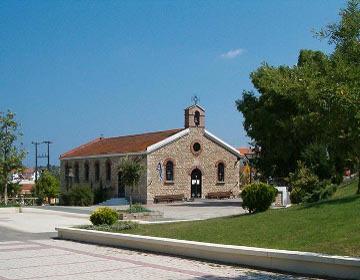 Another significant person, who stayed in this farmland, was Manouel Pappas, the chief of the revolution in Chalkidiki. 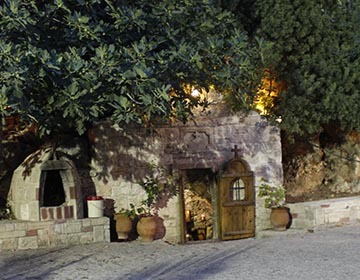 This is a cave, where a low corridor 10meter long and 80cm wide, leads to a small and open spring of holy water. According to the local legend, the Evangelist Paul, who was prosecuted by the Idolaters in Kassandra, found shelter in that cave. There, he evangelized secretly and baptized the Christians in the above spring. It was built in 1938 from the inhabitants, who ware refugees from the old village of Fokea in the coast of Turkey (Minor Asia). The church was named not only “Saint Nicholas”, who is the protector of the sailors, but also as “Assumptions Day”, because there was a similar church in the old village with a miraculous visualization of Virgin Marry. It’s in the centre of the village, where also it located the Saint Nicolas’ Church. There are many shops, cafes and traditional coffee house that someone can visit. 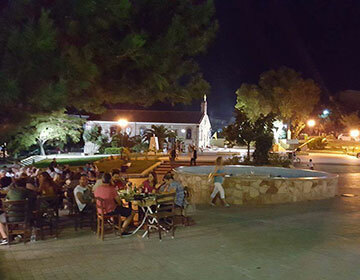 During the summer months the place is turned into a pedestrian area, where children and adults can enjoy themselves carefree!